I do suggest to see a vet, but this is a home remedy version. We are not veterinarians. 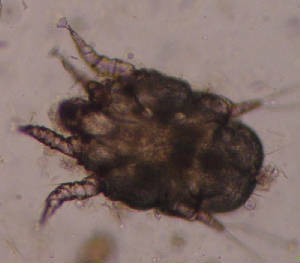 Ear Mites are tiny little bugs that lives on the surface of your dogs ear. If the dog tips the head to one side, seem like they can't hold up there head, or walk off balance then the mites have moved into the middle ear canal. Get a eyedropper and put 10 drops of olive oil into the ear canal. Hold the dogs head tightly so the dog does not shake his head. Massage the ear canal to squish the oil around. This will loosen all the dried brown yeast or blood stuck to the ear. Use cottonballs to start removing the blood or yeast in the ear. After the ear is cleaned, mix 1/2 alcohol and 1/2 White Vinegar. Put 10 drops in the ear and massage the ear again. Leave the white Vinegar in the ear to kill the mites. 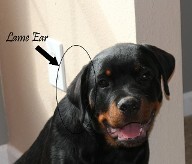 Our Rottweiler puppy started scratching his ear today. The next day he was shaking his head and on one side he had a lame ear. This is a sign of a ear problem. 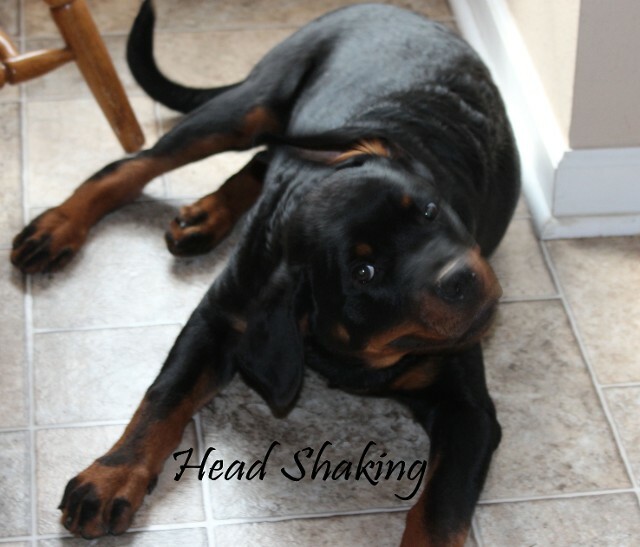 This video shows our Rottweiler shaking his head and the lame ear on one side. There are several different reason whay this can happen but the most common is a follows: water in the ear, mites, yeast infection, irritated ear, tick caused a infection, scratch in the ear, and sores in the ear. In this case balou had a bath 2 days ago and I got some water in his ear, This caused him to sctratch at his ear and then become red and a little inflamed. Another sign that was brought to my attention was his lame ear. I suggest going to a vet if you dont know what is wrong with your dog. It is better to use ear cleaning solution like Virbac, but I cleaned out his ear, mixed some 1/2 vinegar and 1/2 alcohol together and squirted some in the ear canal. Please watch video below on how to hold the ear correct. I rubbed below the ear to swoosh it around until you get a smacking sound and then allowed him to shake his head. After he shook his head I took a cotton swab and cleaned the ear throughly and easily. The next morning my dogs ear was not red anymore and the shaking had stopped. This may not take one day to cure, sometimes i can take weeks depending on the severity of the infection. Luckily I watch my dogs often to notice it. Alcohol kills mites, and dries the ear but your dog may still need a vet. Some vets wont tell ,but dog ear infections can be cause by poor grade dog food. Some sever dog ear infection may need antibotics. Dogs with ear yeast infections have a brown or black gumpy clumps in the ear. The ear will also have a yeast odor.